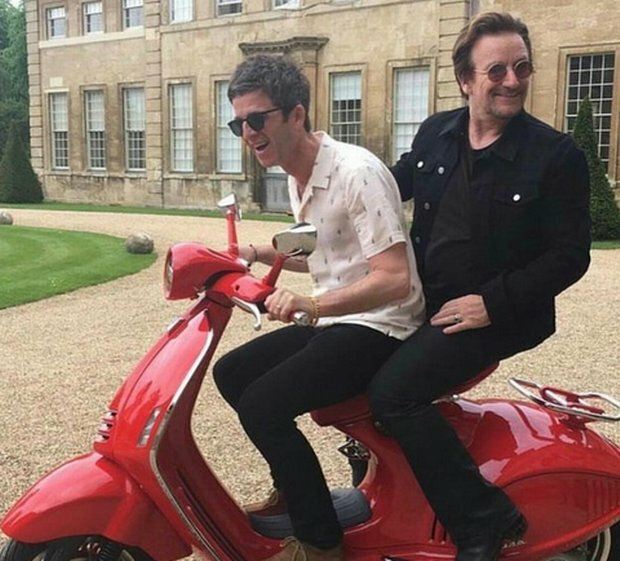 Bono has spoken to the new issue of Q about Oasis and writing a song with Noel Gallagher. On if Oasis' 'Definitely Maybe' and '(What's The Story) Morning Glory?' were on his radar at the time of their release. "Of course. Both of those albums changed everybody's lives, including mine. They occupy that space where they own a moment of your life, they own you - you are no longer in control of your emotional life when you hear any of those tunes. Right up to recent times, he has me. He had that rare thing, its very un-Irish, where he refuses to surrender to melancholy. So when he does it just breaks you right open. But most of the time, hes defiant. And defiance is the essence of romance, is it not? On if he has ever tried to write a song with Noel Gallagher. "Yeah we have. But very late at night and probably not for human consumption. It might be interplanetary. Its a song that will finally prove that there's no life on earth". The new issue of Q is out now.